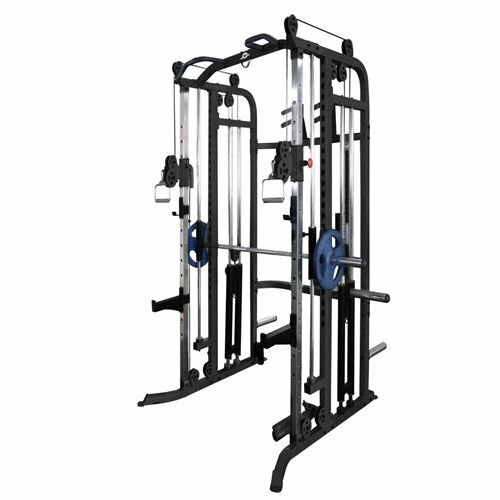 Our 2-Tier Kettlebell Rack conveniently holds a complete set of kettlebells. It features two tiers, allowing you enough space for neat storage and easy access to your kettlebells. 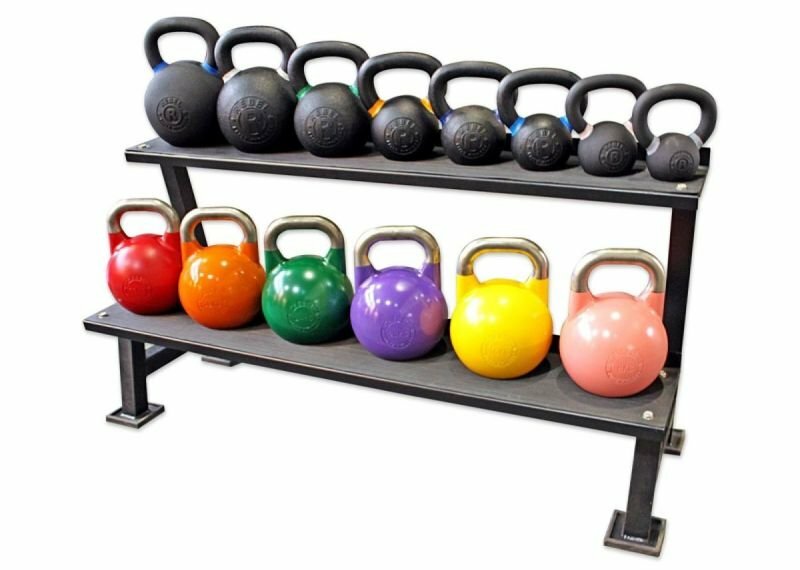 Our 2-Tier Kettlebell Rack is high-quality storage solution and an invaluable space saver for all facilities, whether a CrossFit box, other functional fitness facilities or even a home gym. 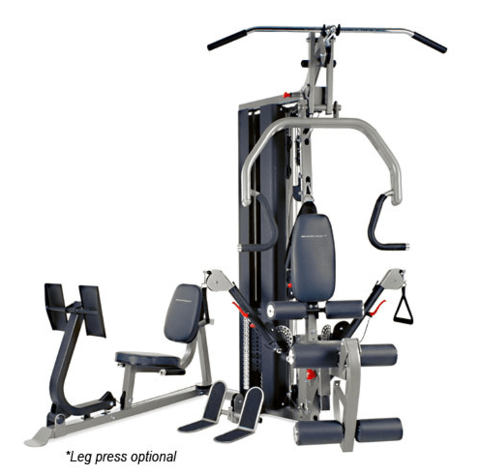 It features two tiers, allowing easy storage and access to your kettlebells. The two tiers (the storage platforms) feature a ribbed rubber protection, ensuring that your kettlebells will not slide off or get damaged during storage. 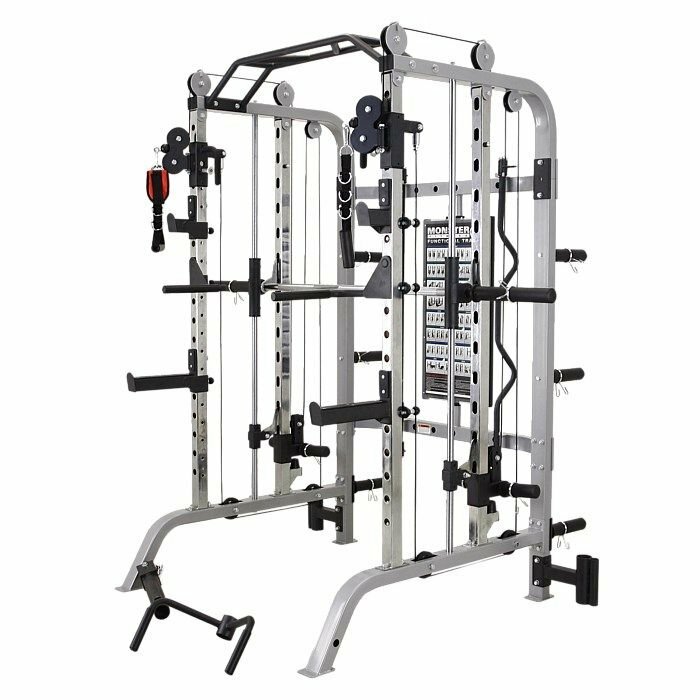 This 2-Tier Kettlebell Rack is compatible with most standard kettlebells. It is constructed from a high-quality steel frame, ensuring it is both robust and long lasting. 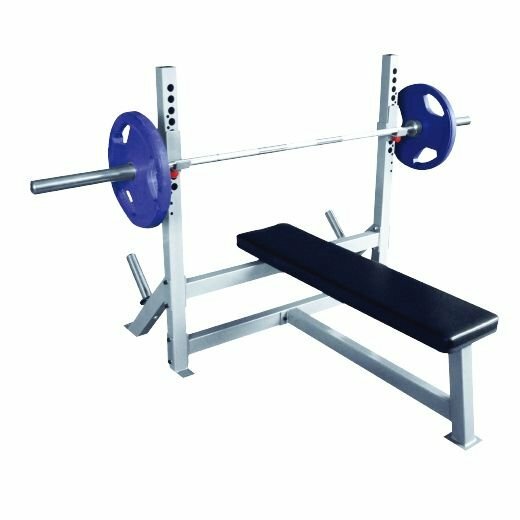 The rubber protective layer on the tiers offers protection to the rack and kettlebells, while the rubber on the four legs ensures the rack sits securely in place. Additionally, the quality paint gives you a high-quality finish, for a professional look. It measures 1400mm across, by 540mm wide, and 740mm high.